Hey Robot, Let's Make Something! 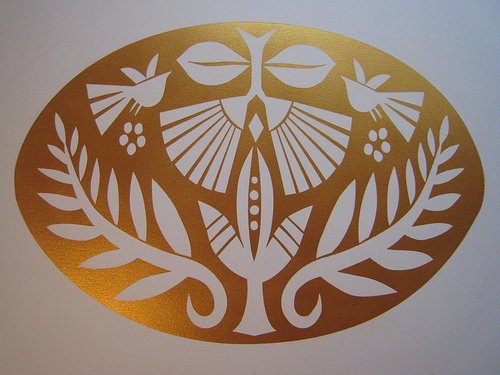 Basia Smolnicki’s “Possession” is a laser cut wood block print with gold pigment. When the shapes were successfully carved out of the wood block, the work was painted through a use of roller to completely color up the “negative space” between the designs.